Hello, Readers! This if the first in what I hope will be a series of posts wherein I interview doctors and other health-care professionals about various topics of interest to you and to me. This month, I interviewed Dr. Harley Rotbart about how to spend quality time with your children. 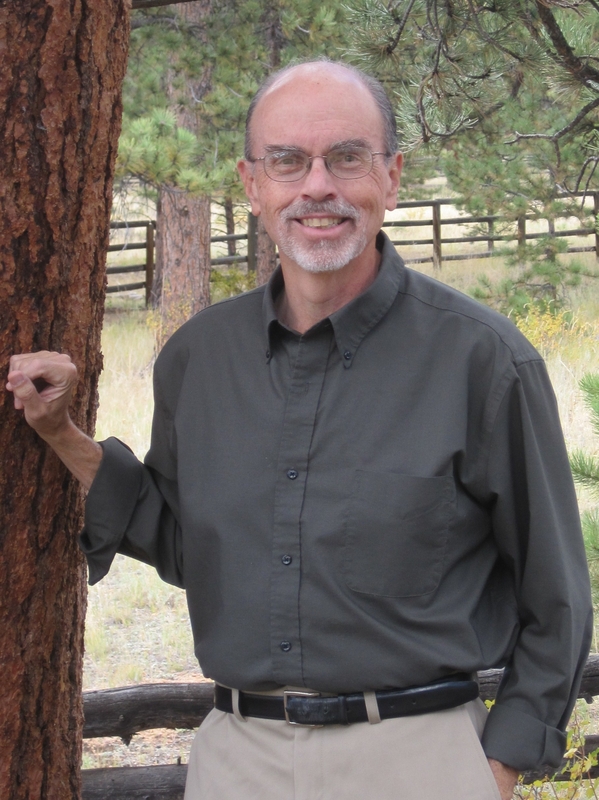 Dr. Rotbart is not only an MD at our nearest and dearest Children’s Hospital of Colorado, but is also a published author. 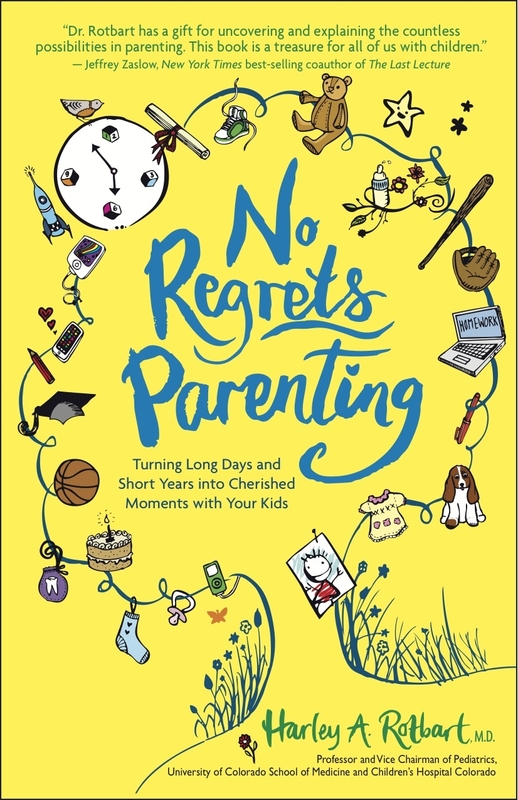 Please enjoy the interview about Dr. Rotbart’s newest book No Regrets Parenting, Turning Long Days and Short Years into Cherished Moments with Your Kids. I thank Dr. Rotbart for participating in this inaugural interview and encourage you to pick up his book! Amanda: In No Regrets Parenting, Turning Long Days and Short Years into Cherished Moments with Your Kids, you suggest that parents plan a schedule that includes and integrates children into daily chores and activities that many parents don’t typically consider children’s activities. What do parents need to understand about their children’s motivations so that they are more creative about involving their kids? Also, what are some of the benefits of including children as partners in chores? Dr. Rotbart: The most important motivation kids have, especially young kids, is getting their parents’ time and attention. There’s a pretty miraculous phenomenon of childhood that allows even the most mundane parental activities to be seen as interesting – and even cool – by their kids. Take advantage of this phenomenon – it doesn’t last forever. Teens (and even tweens) think housework, cooking, and fix-its are less cool, so start when kids are young. If you do, by the time they’re older, you can find cooler things to do with them and they will still want to work with you – fixing the car, changing the furnace filter in the attic, plugging the leak under the sink. Your kids should hold the flashlight for you until they’re old enough for you to hold the flashlight for them when doing work around the house. Amanda: I love your suggestions about involving children in charitable efforts and volunteerism. We’ve done that around the cause of congenital heart disease and it’s helped all of us feel like we’re part of something important. Are there other charities that are particularly welcoming to family involvement that are an easy fit for parents with kids who want to make a difference? Dr. Rotbart:High-profile charities almost always welcome kids’ participation – walks for the cure, turkey trots for charity, sponsored bike rides are perfect for whole family participation. Solicit sponsors together, walk, trot, and bike together. Key words: “together,” “giving”. Amanda: Our daughter loves to do anything and is enthusiastic about everything, she’s terrifically positive. Our son is more of an Eeyore. He is happiest watching TV or playing video games, which we limit for obvious reasons. What suggestions do you have for parents who have a hold-out child who is often against trying new things, and what communication strategies work best with a kid like that? Dr. Robart: It’s ok to use bribery. Really. Until your reticent kids buy in, you may need to add a visit to the ice cream store after a family activity, or an extra 30 minutes of TV time in exchange for spending a “whine-free” afternoon with you and his sister. Soon, he’ll see how much more fun it is to be with you than to watch TV, and you won’t need the bribes. Bribes worked especially well for getting our kids to go on family hikes! Amanda: For those in single-parent households, what kind of support network or peer support might work for those parents so they can get their alone time to recharge to then enjoy the time they spend with their kids? Dr. Rotbart: Social networking has brought single parents tremendous support systems, albeit digital. For in-person support, book clubs, PTA, and church and synagogue groups provide many opportunities for networking with other single parents. Amanda: What are your ideas about how grandparents or non-nuclear families can participate and share in these activities when there may be more adults than children involved? Dr. Rotbart: Most activities that work for parents and kids can accommodate other adults as well – but these are also good opportunities for inviting your kids’ friends to join and balance the ratio a bit. With more adults around, supervising a group of kids is easier for you, and your kids don’t get too “grown-up” weary. Amanda: For moms and dads like me and my husband, most of your tips are fairly easy to integrate into our lives today. However, there was a time not so long ago, and one that will likely come to pass again, when our son’s health care needs were emergent and so stressful (literally life threatening) where isolation and recovery was entirely necessary. How can parents whose children are critically and/or chronically ill best deal with that stress to be able to build those precious memories that all families deserve? Dr. Rotbart: My grandmother used to say that every family’s life is a novel waiting to be written – we all live sagas, and some of us more dramatic and challenging sagas than others. Coping through the difficult family times takes special creativity and courage. Each family must find their own sources of support and strength – extended family, hospital support staff, other parents with similar issues, church or synagogue. In a sense, those times with sick kids are ALL cherished moments – the love and support you provide for your kids in those difficult hours and days should bring you great comfort as well – you are performing true goodness. Amanda: Our son is in the first generation of children like him, with such severe heart defects, expected to live to adulthood in large numbers. There is always the risk and reality that many of his peers, and even possibly our own child will not make it. We still see a ten percent+ mortality rate and there are unexpected complications that seem to be cropping up, so the risk is a serious shadow in all of our lives. This is true for parents of children with many different health conditions where promising research has elevated survival rates, but complications, intervention, and the real and relatively high possibility of premature death are still part of the larger picture. How do you these advise parents to raise healthy-minded children to be productive adults when their physical health is severely compromised? Do you have any advice about how to ensure siblings are getting the right balance of quality time as well? Dr. Rotbart: Two questions here – the first, how to raise kids with life-threatening disease, the second how to balance time with siblings. To the first, the answer is simple – kids with illnesses must be raised with the same sense of optimism and looking forward to the future that we raise our healthier kids with. Of course, the physical challenges of kids with chronic illness are always hanging over us and them, but we can’t let that change the enthusiasm and energy we impart to them as they grow up. Always assume things will turn out ok, and they will get that message and look for the silver lining in the clouds. Kids are so perceptive – don’t let them perceive your worry about the long term. Regarding balancing time with siblings, that’s tougher. It requires real dialog with the healthy kids to explain their sibling’s needs, and it requires creative juggling by parents. In lucky households with two involved parents, find ways to free up one parent as often as possible for the healthy siblings. Grandparents and extended family can help a lot here as well. But most importantly, communication is the best solution – put everyone on the same page. Involve siblings when possible in helping care for the sick child, but don’t overdo that – it can be very stressful. Amanda: Is there anything else you would like to add or share with the readers? Dr. Rotbart: Parenting is never easy. Having a child with an illness or other special needs amplifies the challenges, but also the rewards – the rewards are in a sense of fulfillment for doing the right thing and the good thing for your family. See blessings in every moment you can spend with your kids.